As we all know that new Call of Duty Black Ops 4 is scheduled for release later this year and the developer Activision had new plans for the game as well as its Zombie mode. The Call of Duty Black Ops 4 will not feature the traditional single-player campaign mode, instead the game will have its own battle royale mode with a map which is known as the biggest map ever created by the developer studio. 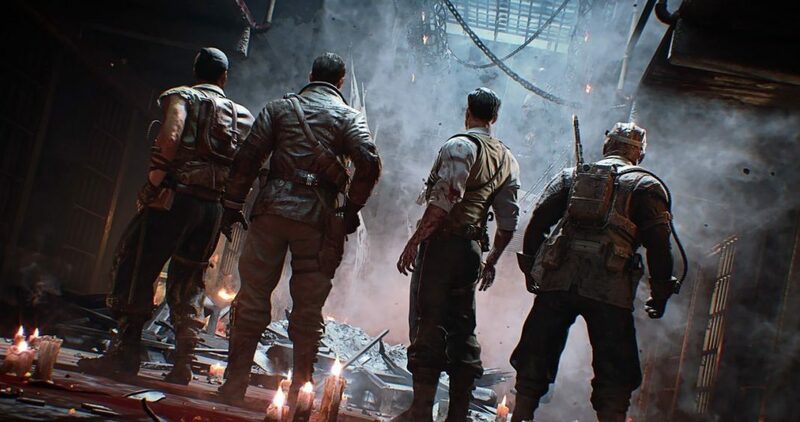 As confirmed by the developers, it will contain the multiplayer mode, alongside the Zombie mode for which the Call of Duty franchise is known in the gaming industry. The Zombie mode consist of three different modes; namely, Voyage of Despair, IX and Blood of the Dead. A few hours ago during the Comic-Con 2018, Activision revealed a brand new trailer of the third Zombie mode Blood of the Dead, which will be available for play at the launch. Most of the new games are now focusing towards the battle royale mode since the success of PlayerUnknown’s Battleground and Epic Games’ Fortnite. While Activision seems to be confident with its battle royale mode and according to them, it will be the “best and better than everybody else”. Call of Duty Black Ops 4 is scheduled for release on October 12th for PC, PS4 and Xbox One. Stay tuned for more updates!